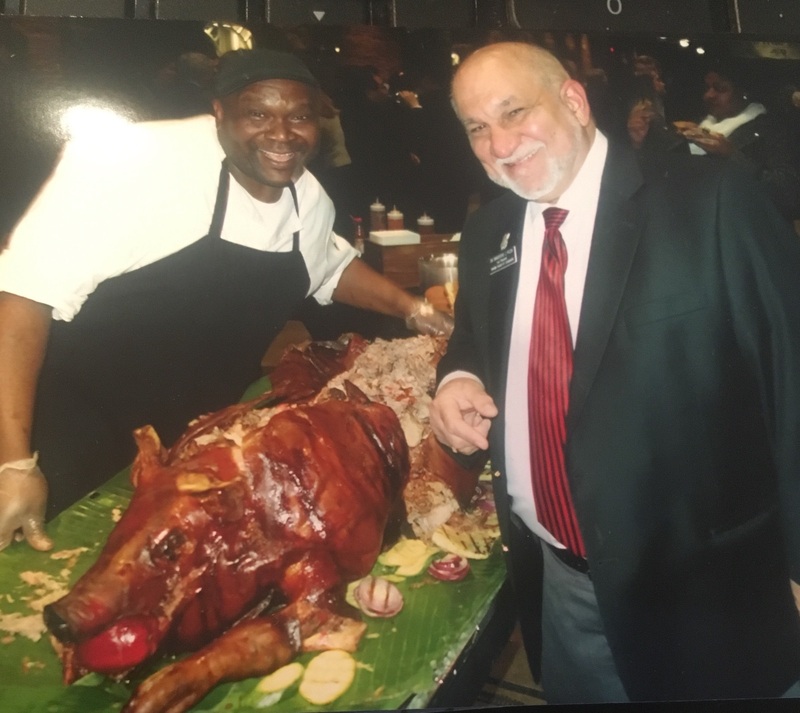 Join Chiropractors in Politics today! Help GCC protect your right to practice subluxation-based chiropractic. 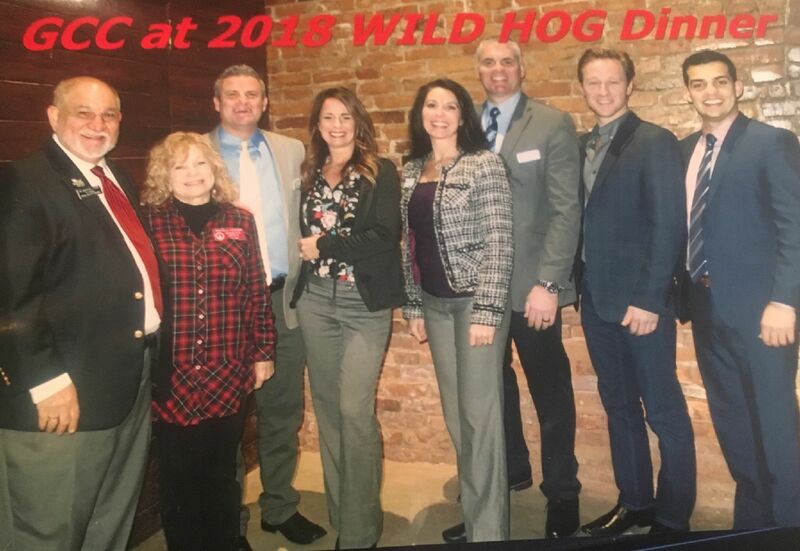 Join the PAC today with your pledge of financial support and then get involved in our many legislative activities as we work together to promote, protect, and perpetuate subluxation-based chiropractic. Click Here to Join Now. 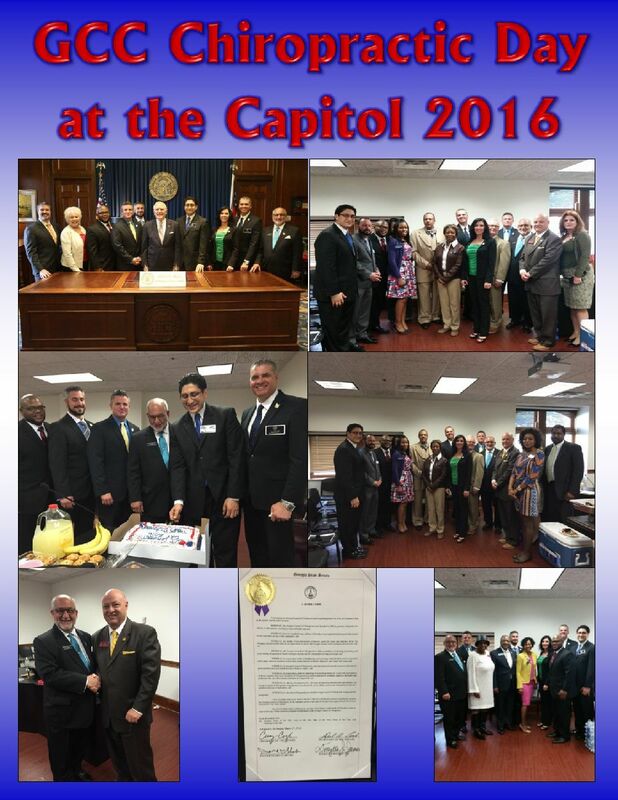 The GCC strongly encourages all chiropractors to get to know your legislators. Let them hear from you throughout the year, let them know you appreciate their service. Make sure they know who you are, BEFORE the chiropractic profession is asking them for a favor. 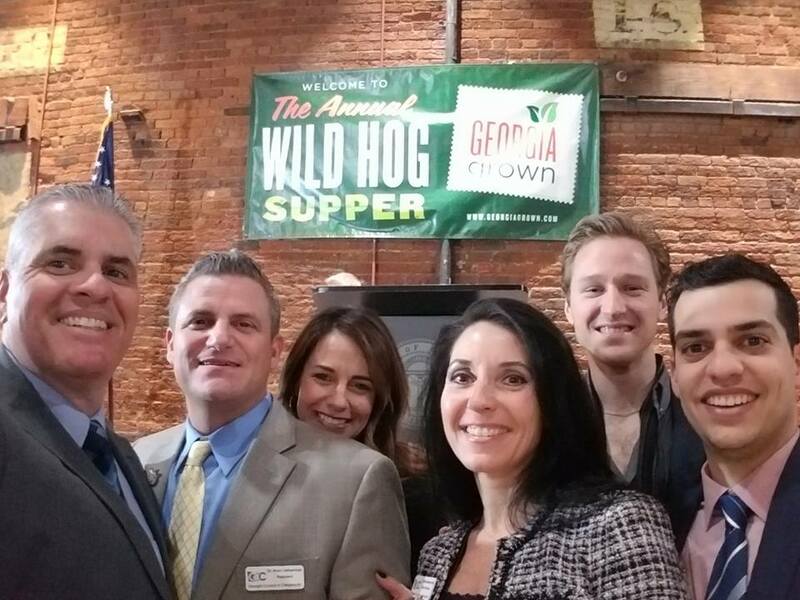 Click here to find your legislators. 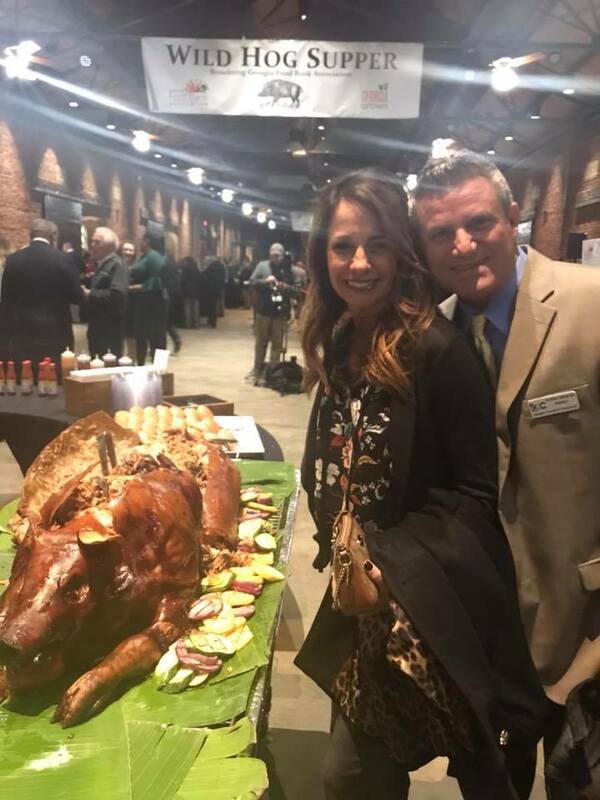 GCC Says THANK YOU to our CIP Donors! 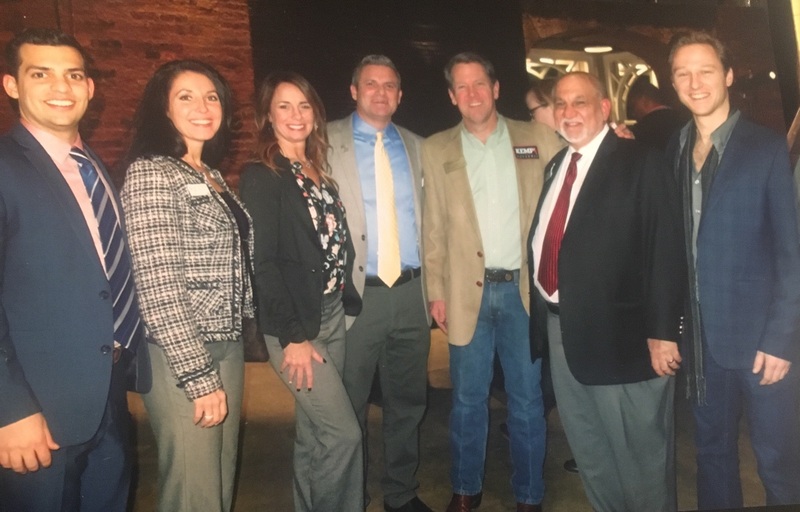 GCC is always working to protect your right to practice subluxation-based chiropractic and to ensure access for Georgia citizens to the best subluxation-based chiropractors Georgia has to offer. Please join us in thanking those who have donated to the Chiropractors in Politics cause and made possible the continuation of this mission. As Dr. sid always said, politics requires MONEY and VOTES, in that order! Chiropractors, students, and patients celebrated Chiropractic Day at the Georgia Capitol on February 19th taking photos with the Governor as he delivered the annual proclamation declaring March as Chiropractic Month in Georgia. 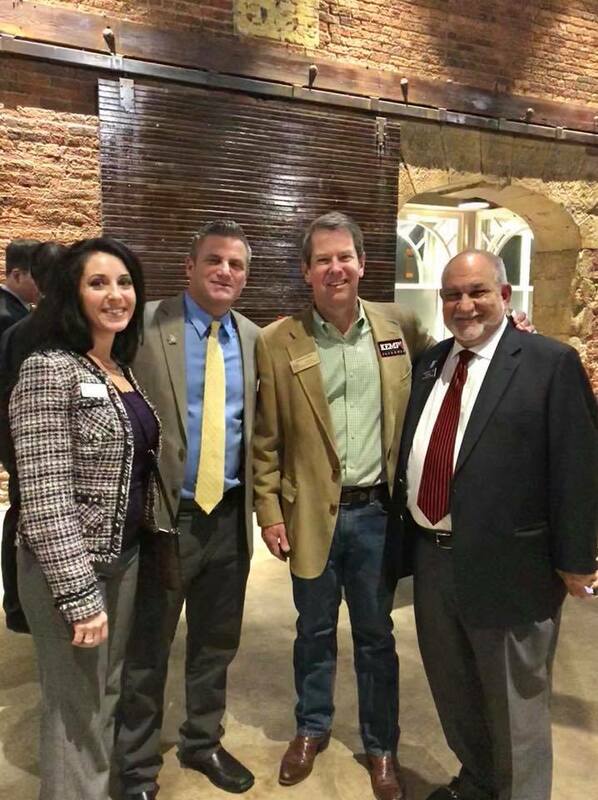 While at the capitol, GCC board members and legislative committee members met with various legislators who have supported Chiropractic in Georgia. 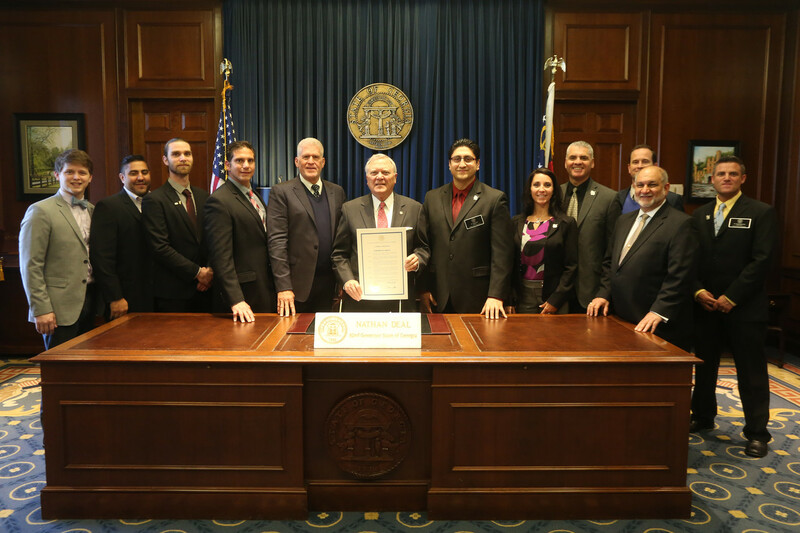 GCC Board Members and Leaders Join Georgia Governor Nathan Deal and Other Georgia Legislators in Celebrating the Opening of Georgia's 2015 Legislative Session. 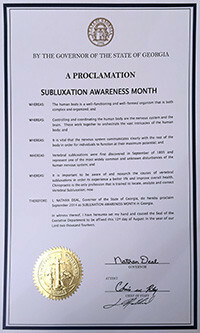 Georgia’s Governor, Nathan Deal, once again presented a proclamation proclaiming September to be Subluxation Awareness Month to the Leadership of the GCC. 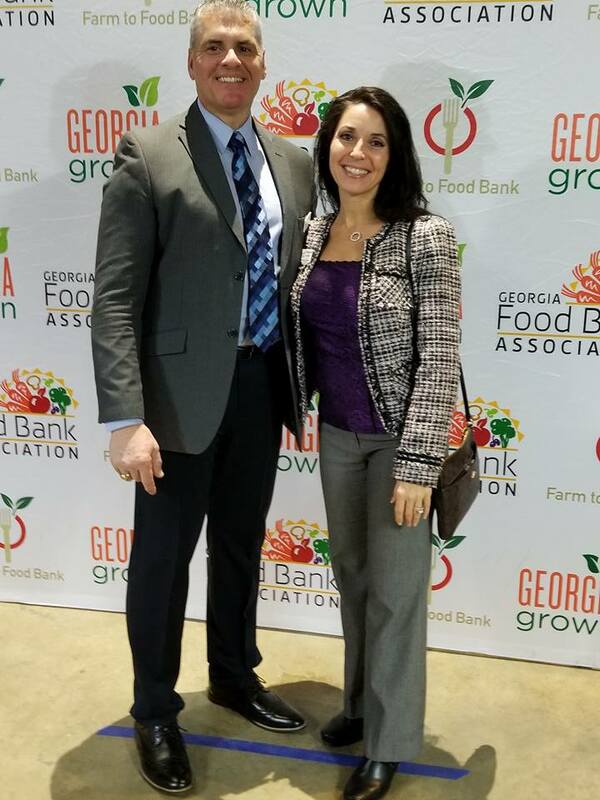 The presentation took place at the Georgia Capitol on Tuesday, September 23, 2014. GCC Board Members and Leaders Join Georgia Governor Nathan Deal and Other Georgia Legislators in Celebrating the Opening of Georgia's 2014 Legislative Session .